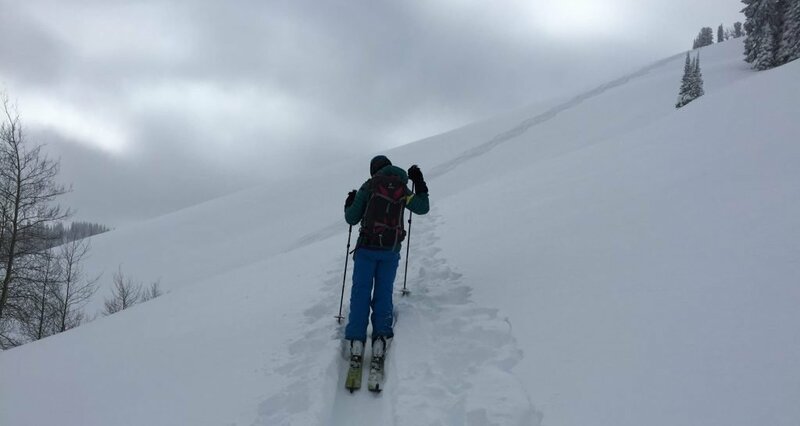 Two days after the storm ended, the snow is finally settling down and providing some very nice skiing, but the trail breaking is very difficult. We went into Mail Cabin to see what was going on. Windy Ridge didn’t have a track on it, and a party of two were almost at the top of it. We decided to follow. 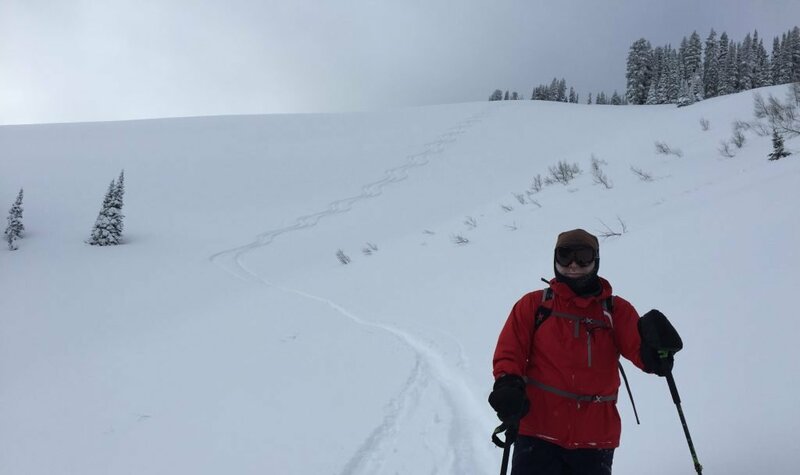 Thanks to the two brave, hearty souls who broke that trail. I know it took a herculean effort. 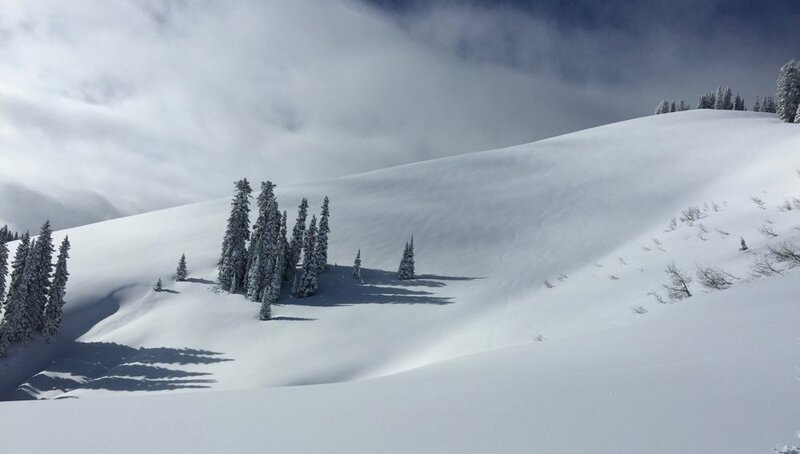 By the time we got to the summit, the two trail breakers had skied down the ridge. 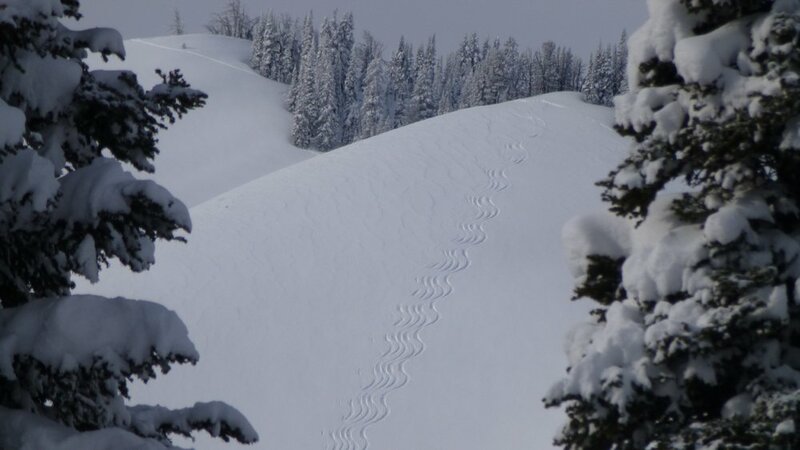 We couldn’t resist the north bowl and skied two laps on it. The snow was very good, but a little heavy and wind affected. After that, we did a lap down Cave Bowl. I think the snow was a little better. And finally, up to the Do It ridge and out a low angle tree and glade shot. A long day. We were all very tired that night.